“Leaning out the window of our accommodations on the rural outskirts of Bordeaux we’re assailed by two things: a cat which wants to come in and share our comfort, and the scent of the garden. First to hit me is the strong perfume of lavender; it is everywhere. There was a mist or a bit of rain last night and the dewy drops have settled on the willowy plants and their purple flowers growing in the garden outside and are squeezing the aroma from the leaves. Picking up the acquiescent cat to slowly wander around the acre or so that makes up the gardens of our abode, there’s another scent; the “lawn” or grass meadow is scattered with mint and as we walk it assails our nostrils with the most marvellous scent. Stopping to take it all in there’s yet more to tease the senses: the herby aroma of bay laurel mingles with the spice of sage growing wild; a huge fig has dropped over-ripe, purple fruits in profusion onto the ground where they’ve splattered and the rich heady perfume has joined the cacophony of scent. The air itself seems to celebrate the bounty, and as I type the thyme convinces us that it’s time to explore a little more. There is so much more to discover in this verdant countryside”. 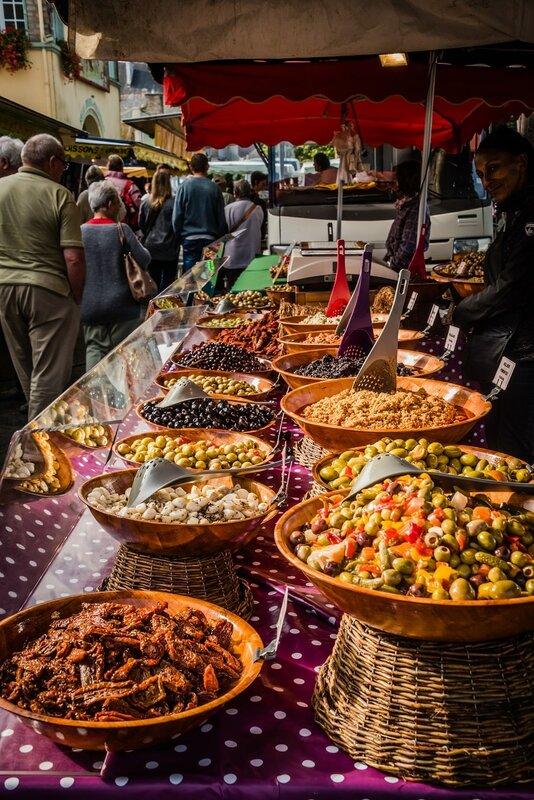 Australian journalist Jackie Gill and photographer friend Debra Mitchell, along with a group of Aussie friends, found much to love during their recent visit to France. Part of their five week stay included a portion organised by a Frenchwoman, Pascale Gerson, who lives in Australia and has a passion for introducing her home country to visitors through her popular “Visit My French Village” tourism venture. 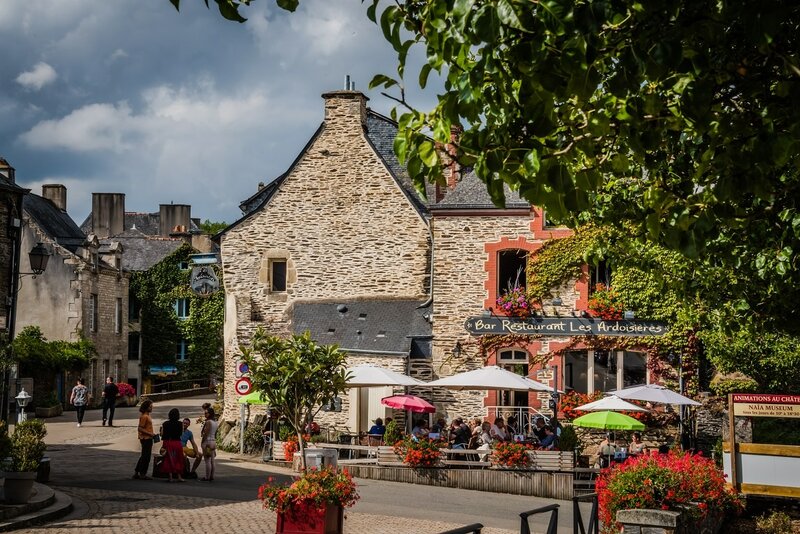 The Aussie contingent enjoyed a stay in a property on the outskirts of Bordeaux – which prompted the opening paragraph of this story – and then a week in Brittany. The wonderfully rustic accommodations were once the oxen stables of a large 13th century chateaux which still looms on the landscape behind the chestnut trees. 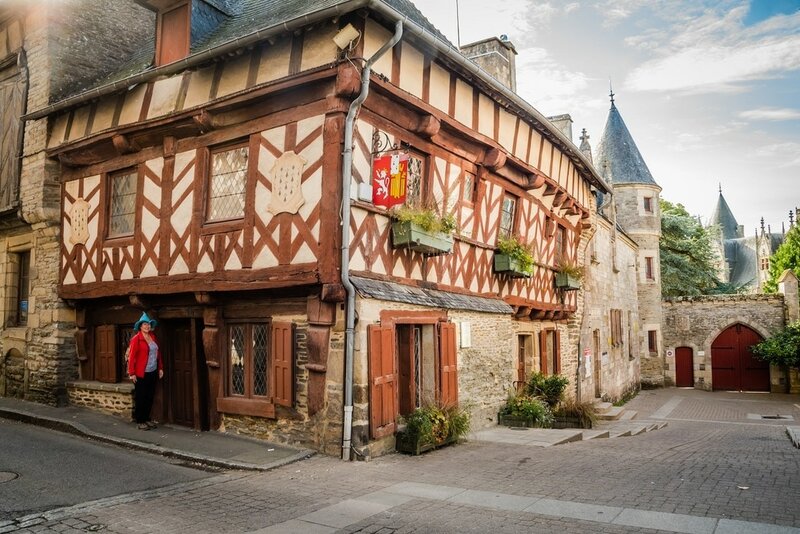 The accommodations are a short wander to the town of La Chapelle-Caro; and a only a few more steps in other directions to other, equally delightful little towns. Most of the pathways wind through woodlands, or along the side of century-old canals. 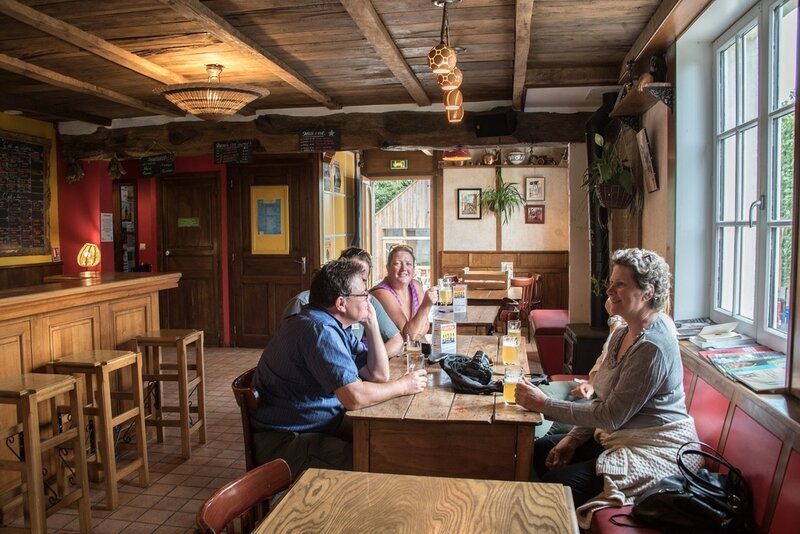 A half hour walk takes the thirsty visitor to another of the tiny enchanting French villages, with a pub which looks over the canal. It’s very easy to settle in and enjoy a vin rouge in the afternoon sunlight. From the accommodation the visitors ranged across Brittany; exploring ancient megaliths and standing stones; oyster beds at the wide, clean beach; staring awe-struck at Mont St Michel in the afternoon light; wandering through a forest called Broceliande where Merlin the Magician is said to have died. Pascale’s promise is that visitors to her “French Village” will get a taste of the real France. That was certainly the case. With its crepes and apple and its cider and corn fields; its window boxes full of geraniums it was a glorious experience. 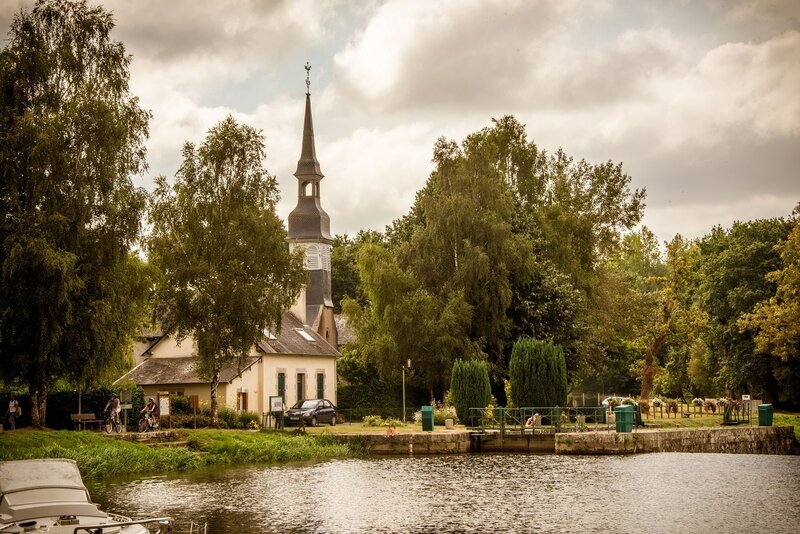 “Visit My French Village” organised the accommodations, pick-ups and drop-offs and all the little extras that ensure a brilliant, hassle free experience for the visitor. Journalist Jackie Gill writes a blog called The Blue Hats (www.thebluehats.holiday or FB The BlueHats).